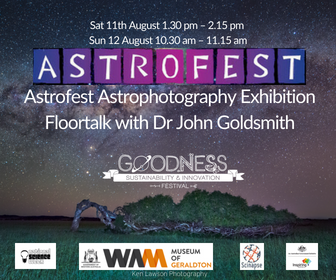 Explore the cosmos through the eyes of talented astrophotographers in the ninth annual Astrofest Exhibition Floortalk by Dr John Goldsmith. The 2018 Astrofest Astrophotography Exhibition showcases the accomplishments of talented Western Australian astro-imagers who have recorded stunning astronomical landscape images in locations throughout Western Australia and beyond. Established in 2009, the annual competitive exhibition has become a highlight of Western Australia’s Astronomy festival, Astrofest. This year’s 224 entries from 52 entrants featured a diverse range of astrophotography, including astro-landscapes, high resolution planetary and lunar images, widefield and deep space astrophotography. 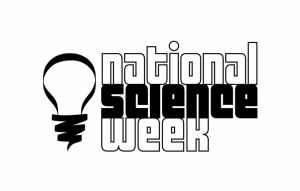 Exhibition Curator Dr John Goldsmith from Celestial Visions will deliver a floortalk on the exhibition finalists work. Free event, no bookings required. @2018 Pollinators Inc. All Rights Reserved. Website by Blaze Digital.